Bullet Proof Vestments is a short story that kicks off Jane Lebak’s series about an inner-city priest who’s rough past comes back to haunt him. Fr. Jay used to be a tough criminal in his youth, then an even tougher soldier in Iraq—until a land mine took most of his eyesight and ability to walk. 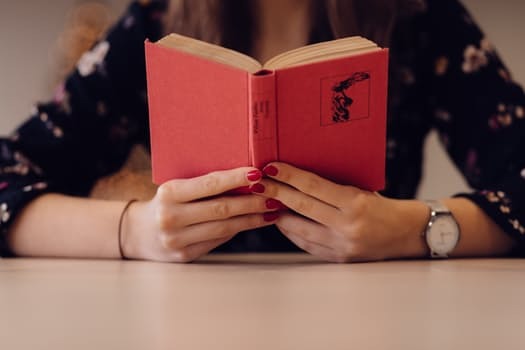 Like St. Ignatius, Jay found his way to God in the recovery ward, even as his brother lost his faith after seeing his idealized brother become decrepit overnight. Now Jay works in an inner-city parish, mentoring at-risk youth, and trying not to fight all the time with his cynical police brother, who has never been able to understand Jay’s life choices. Still, Jay gets by. He counts his pennies to buy more bags of rice and beans for the church’s soup kitchen and mentors a group of at-risk boys who form their own neighborhood watch group, “The Archangels”. But what peace he has built for himself is shattered when a former gang member shows up at the church and swears to make Jay pay for selling out his former street brothers. While Fr. Jay is not at all short of friends or family willing to fight for him, many of those allies are children, and poor families. How can he risk their lives over the consequences of his past? Subscribe to Catholic Reads and Find out when this book is on sale! The pacing in this story is phenomenal. In fact, the biggest complaint I have with Bullet Proof Vestments is that I want it to be a full novel and not just a short story. The characters are interesting and fully realized. The Archangel Boys are especially entertaining with their young heroic bravado they take it upon themselves to patrol the church, and yet when they actually meet the dangerous man who has threatened Fr. Jay’s life they reveal their morbid curiosity for Fr. Jay’s criminal past, all without realizing the danger they in. Bullet Proof Vestments is a perfect introduction to Lebak’s Fr. Jay stories and I hope there will continue to be more of than the three published so far. Bullet Proof Vestments and the Fr. Jay stories in general lean more towards the Family Drama genre than the action genre, which is a shame because Lebak knows how to write a good action scene. Nevertheless, this short story at least is not lacking for some high stakes action. 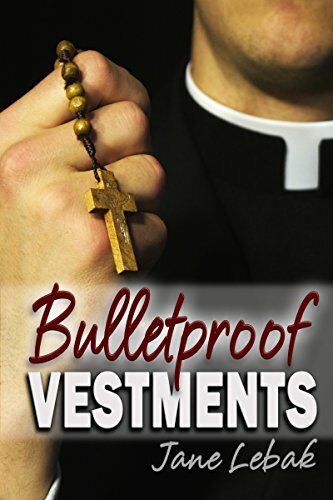 Aside from the obviously Catholic setting, Bullet Proof Vestments explores themes of how other people can serve as co-redeemers of others, and even help a person overcome consequences of sin in their lives. By giving us a hero with so many physical infirmities, Lebak draws our attention to the pure inner heroism in all her characters. Despite some strong language and the adult topics of war, injury and gang life this book is written in such a way that I would have no qualms about recommending it to a young audience. In fact, I think a lot of young boys would find Fr. Jay even more inspiring than an adult audience would. That isn’t to say that this book is in anyway juvenile, it’s just one of those rare stories that doesn’t pull any punches but remains family friendly. For that reason, it would also be a perfect addition to any parish or school library.